Finding the right ironing board is more important than many customers may think. While an ironing board may seem like an odd product to review, you should consider how much time you could end up saving with an ironing board which recirculates steam efficiently. An effective ironing board can essentially halve the amount of time it takes you to iron your clothes while you are doing the laundry, so it is a worthwhile investment to make. There are many aspects to consider when making your purchase and we will go over every one of them in this review. The Synergy Extra Large Ironing Board is, as the name suggests, an ironing board of larger size than normal. 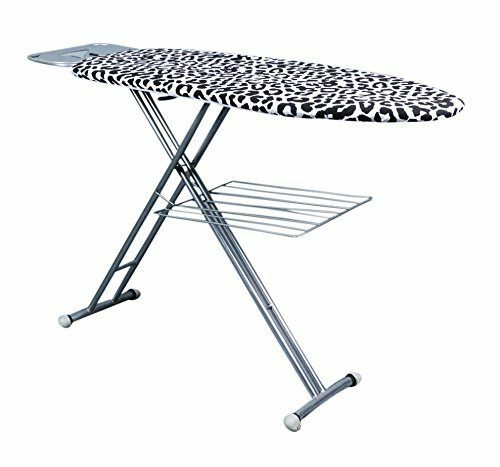 This allows you to use more of the surface area of your ironing board to more effectively iron larger articles of clothing, such as your robe or anything else which may take up a lot of space when unfolded. The inclusion of several other features such as a clothes rack and iron holder also make this model quite convenient. Our favorite aspect of this ironing board is that it allows you to iron your larger pieces of clothing more easily. We have always taken issue with ironing boards which provide a pitifully small surface area to work on. It seems somewhat counter-intuitive to design an ironing board which is not big enough to effectively iron on. While this is a larger model of an ironing board, it is quite convenient when the time comes to store it. This product folds up into a much smaller size, allowing you to store it in closets or other confined spaces or areas where even smaller ironing boards would have trouble fitting when folded. The best part of the folding mechanism is that it in no way diminishes the integrity of the table itself when it is open. Unfortunately, the tips of the legs have some problems finding purchase on surfaces which are not very grippy. For example, if you have polished porcelain floors, you may wish to use this ironing board on a surface which allows for more grip. While this model of the ironing board is by no means undesirable due to this feature, it may result in difficulty with positioning the ironing board itself. 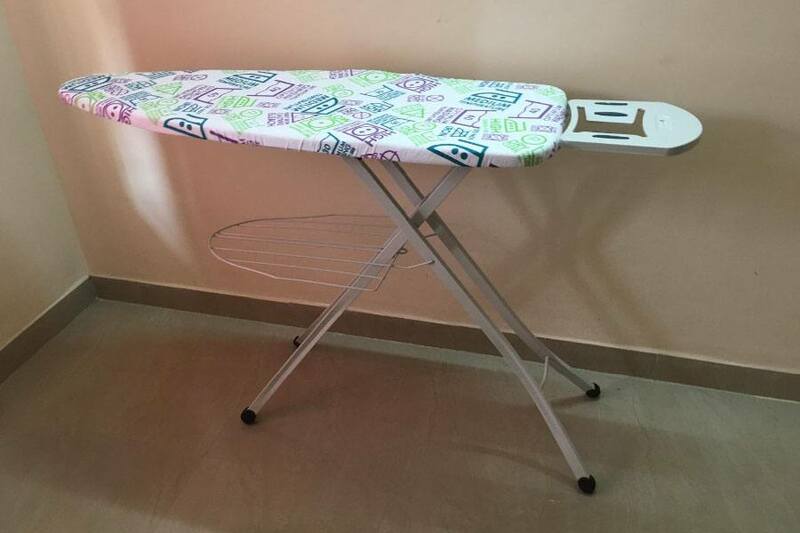 This ironing board is an excellent choice for customers who are looking for an affordable and reliable ironing board which features a rather large surface area. If you find yourself ironing larger clothes, then this model will work perfectly for you, and we cannot recommend it enough. Just make sure that your floors are not too slippery.